The ONE Answer to live life to the Max. *Specially formulated to contain no contaminants or banned substances as certified by the Banned Substance Control Group (BSCG) giving professional athletes worldwide the confidence to use Max products within competition. RiboCeine™ is a patented breakthrough nutrient compound that has been known to deliver the key precursor nutrient, cysteine, to the cell. RiboCeine™ enables the cell to produce optimal levels of glutathione. Backed by 25 years of research and 22 published and peer-reviewed scientific studies funded by the National Institutes of Health and other scientific institutions, RiboCeine™ was proven to significantly outperform all other means of glutathione enhancement, against which it was tested. 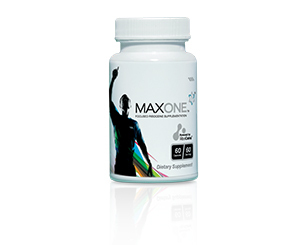 MaxOne has helped empower many different people achieve better health and wellness. Here are some of their stories. I’m glad I tried the Max products because I now feel more active and focused, I no longer feel exhausted after working all day. Thanks to the products my wife and I are both sleeping better and feel younger. To continue with your purchase, please choose one of the options below. If you’re new to Max, then you'll need to create your account. Please select this option to be taken through our detailed Product Purchase page. If you’re currently a Max Associate or Preferred Customer, then please select this option to log on to your account. Were you referred by a Max Associate? If you are an Existing Customer or Preferred Customer please log in here. How did you hear about Max products? Which Max Products are you interested in?